Up to 4000 runners take part in the annual Baker Hughes 10km City of Aberdeen road race. The 10 kilometre (6.2 miles) event starts and finishes at the Beach. The final Baker Hughes 10k took place on Sunday May 14th 2017. It is know known as the BHGE 10k Race and Running Festival. It is open to all including amateurs and elite club athletes. Families can take part in the family fun run at 9:35am which is open to all ages. A wheelchair race starts at 9:25am at the Beach Ballroom. This Aberdeen 10k race is usually held on the last Sunday in May and starts at 10am. Entry forms for the Baker Hughes 10km and family fun run are available from Council outlets.  An entry form can also be obtained at sports facilities and sporting shops throughout Grampian. It is limited to 3000 - 4000 entrants. Entrants to the fun run can also enter on the day. There are generally several road closures in Aberdeen during the lead up and after the event. These generally include the Beach Esplanade, Beach Boulevard, Links Road, Accommodation Road, Urquhart Road, Wellington Street, St Clement Street, Miller Street, Virginia Street, Golf Road, Park Road and School Road. Traffic Marshalls and signs are usually in place to help direct drivers but do check with the organisers and the local newspapers such as the Evening Express and Press and Journal and radio stations such as Northsound for up to date info. The first Baker Hughes 10km City of Aberdeen race was in 1986. Many teams take part which include army cadets, the police and the territorial army. The road race was held on Sunday 20 May 2012 with the winner Ben Hukins achieving 32 minutes and 23 seconds. Second place went to Kyle Greig with a time of 33:17 and third place was David Munro with 33:32. The 2011 event took place on 22 May. The winner of the women's race was Jill Smylie with 39 minutes and 16 seconds and the winner of the men's event was Ben Hukins with 32m and 3s. 2010 was Ben Hukins of AAC with 32m and 1s. In second place was Juan Mareque whose timing was 32 mins and 48 secs. The first woman to cross the finish line was Lyn Wilson with 35m and 7s. This was her fourth win in five years and this was her best. 2009 results for men was Juan Mareque with 32 minutes and 17 seconds, the for women was Lyn Wilson with 35 minutes and 11 seconds. Second and third place went to Ben Hukins and Mark Haskett. The winner of the fun run was Lewis Carnegie. There were 2537, many of whom were in fancy dress and raising money for charities. 25 May 2008 was Mike Carroll of Perth Road Runners who also won last year. His time was 32m and 46s. The women's was Fiona Thompson, a University student with 38m and 9s. There was over 2500 entrants. The 10k road race on 27 May 2007 started at 9:30am at the Beach. The winner was Mike Carroll from Perth, Scotland, with 31 minutes and 55 seconds. A remarkable time given the wet and windy weather. Just one month previously he was 20th to finish the London marathon and the first Scot to pass the finishing line. There were 2695 entrants and Juan Mareque came third with 32m and 4s whilst second place went to Simon Pride of Forres Harriers running club. The first woman to finish was Lyn Wilson who was in position 22 with a time of 35m and 53s. The men's wheelchair winner was Kenny Herriot at 29m and 5s. The women's prize was won by Dame Tanni Grey-Thompson with a time of 38 minutes and 41 seconds. The first Aberdonian to cross the finish line was Barney Phillips of AAC at 33 minutes and 2 seconds. The first veteran to finish was Frankie Barton from Keith at 33m and 35s. 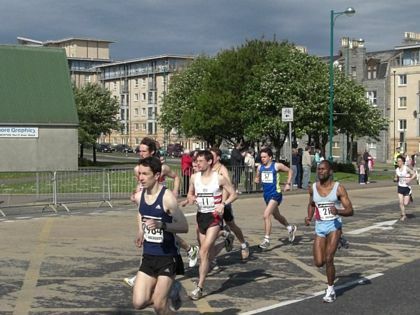 The 2006 Baker Hughes Aberdeen 10k Run was held on Sunday 28 May with 2963 taking part. The winner in the male event was 19 year old Darren Shinnie at 31m and 50s. He is the youngest to ever win. The first female to pass the winning post was local lass Lyn Wilson (number 2935) to take the women's title at 35m and 17s. This was a record setting time and beat the last record which was set in 1995 by Aberdonian Elizabeth Riley. The wheelchair winner was Kenny Herriot (number 7) at 25m and 9s. Frankie Barton won the 2005 event. He wore shirt number 157 and competed at 31m and 54s. The first woman to finish the event was Jane Barker at 37m and 39s. She wore shirt number 388. Jane Baker also won in 2004 and 2003.